Every March, families and students eagerly hit the vacation trail in the annual ritual - Spring Break! We’ve put together some handy tips to help you make the most of your next spring getaway. 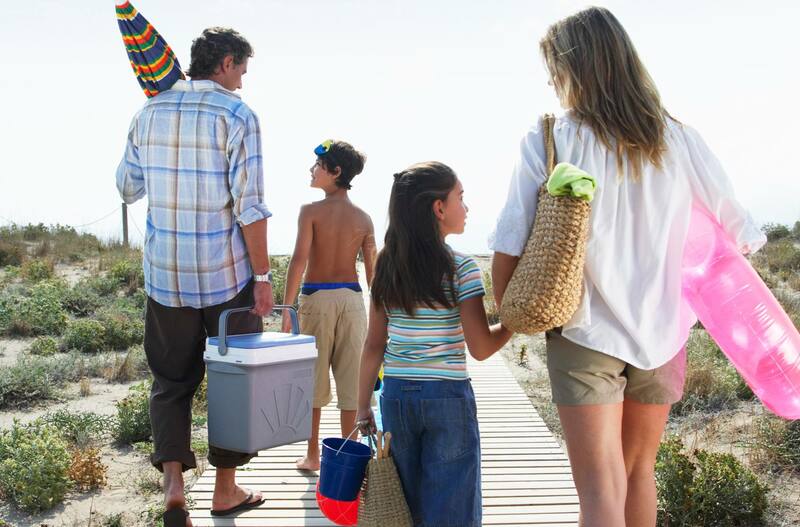 Simple, but true: planning ahead is essential for spring break travel. Accommodation and flights to popular destinations are in high demand, and that’s reflected in pricing and availability. So set a budget and start shopping early to give yourself the broadest set of options from which to choose. Popular websites like Expedia, Trip Advisor, and Air BnB are good starting points, but don’t forget to check destination-based tourism websites as well. Apps like Trip It (for itineraries), App in the Air (for your travelling days), and Mint (for budgeting) can really help smooth things out. You’ve only got a week, so it’s a good idea to dial back on distance. Whether you’re planning an active vacation or just looking forward to some well-deserved R&R, you’ll want to maximize fun time and minimize travel time. Skyscanner is a handy app that can help you scout for destinations based on direct flight options and travel time. One thing you don’t want to do when you reach your destination is waste time figuring out how things work or what you want to do. Bone up on local culture, food, and customs before you leave. Find out what kind of weather to expect. Talk to people who’ve been there for tips on where to go and what to do, peruse travel blogs and guide books, and check out Trip Advisor’s “Top things to do in…” pages: you’ll find a ton of suggestions and reviews. You might also want to book some activities online in advance to save time. Booking as a group can be a great way to keep costs down. If you’re planning a family ski trip, for example, invite another family or two and rent a house together instead of going the hotel route. You’ll save big on accommodation and food—and the kids will love the extra company. If you’re a student, teaming up with friends will score you significant savings on quadruple occupancy rooms at hotels and resorts. You may be starved for sun, but don’t let too much of a good thing spoil the party. Cover up or stay in the shade when the sun’s high in the sky, and use plenty of sunscreen. Be sure to always drink responsibly. Mixing alcohol with sun can become unhealthy and lead to overexposure or even sun strokes, so enjoy both in moderation. Also note that emergency medical expenses for an illness or injury due to excess of alcohol are never covered. The high costs of travel arrangements during this period make cancellation insurance essential, as is insurance for unexpected medical expenses. No matter what your needs are, Blue Cross has a solution to fit your travel plans! Sun, surf and snow aren’t the only ways to have a great spring break. Opt for an urban escape and visit that metropolis you’ve always wanted to see. Enjoy museums, cultural and sporting events before peak summer travel crowds appear. And, oh Canada - savour yummy maple treats at a sugar shack during maple season from Ontario through the Maritimes. Or hit the waves at an indoor water park for a taste of the tropics that’s close to home. With a little planning and imagination, you can look forward to a wonderful week. Enjoy!